I enjoy road bicycling. I ride in Tucson and around Little Traverse Bay, MI. I ride a Trek Domane 4.3 in Tucson and in Norther Michigan. My goal is 100 miles per week. Since May of 2014, I have logged over 14,000 miles on the Domane bike. I track my rides on Connect.Garmin.com, Runkeeper.com, Mapmy ride.com, Strava.com and RidewithGPS.com. 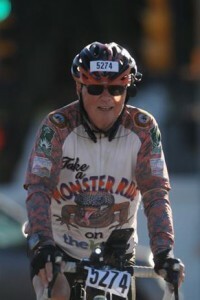 I am a co-coordinator of the Voyager RV Resort Biking group in Tucson, AZ. Our Voyager Biker Group has programmed rides on Wednesday and Thursday, and I ride with meetup groups other days. Follow me on Strava, Runkeeper or MapmyRide.